Plastic single-layer tray. 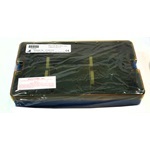 Includes base, lid, and holder for up to three knives. 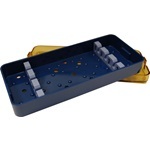 Various plastic microsurgical trays used for instrument sterilization with lid and silicone finger mats. 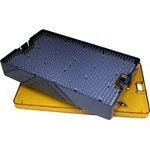 Plastic Phaco single-layer instrument sterilization trays come with a base, lid, bars, and slots. 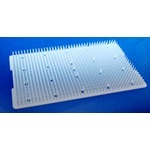 Silicone finger mat for use in Accutome medium sterilization tray (AT0170).